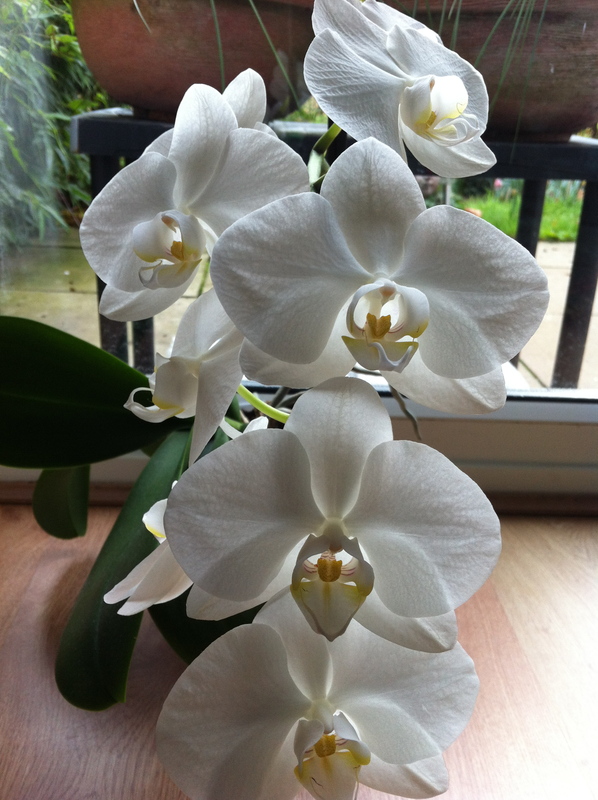 House plants are one of the things that keep me going through the winter months when there’s very little I want to do outside and I bet that the most common house plant in the UK is the moth-orchid or the phalaenopsis. I’m not embarrassed to say that I have three of these things. Despite these orchids being very low maintenance, I don’t know many people who keep orchids alive long enough for them to flower again (and again). They grow new leaves very slowly and repeat flowering is dependent on many factors, some orchids are much more amenable to repeat-flowering than others. Of the three that I have, one repeats very often, perhaps almost twice a year. Another repeats just over annually but the last has taken two whole years to repeat-flower. So while some orchids have flowered several times, the most flower-shy orchid is only on it’s second showing. They are all moth orchids and the only difference between them is the colour of the flower. They all get watered and fed at the same time, they’re all put together on the same table or window sill or side-board, they’re all around the same size and shape and they’re all in identical pots and were all re-potted together. I thought I might just get a good couple of shots of this white orchid while it is currently in flower, lest it be another two years before it thinks of putting on another performance. Though it’s not my favourite, I like the pure white petals with the smallest flush of yellow and delicate tracery of pink. 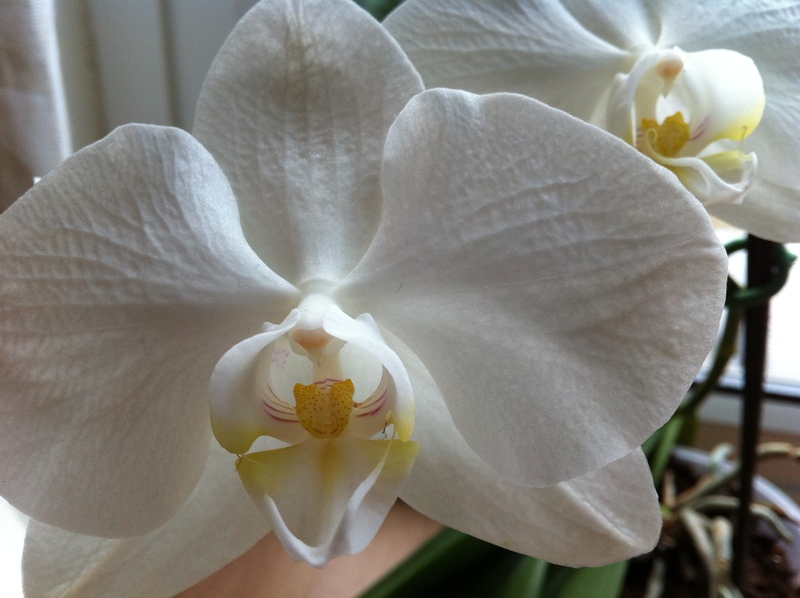 It has been flowering for almost two months now and I’ve noticed that when orchid flowers first come out, their petals are very smooth and shiny, as the flowers age, they become more textured and veiny (oddly similar to humans).